There were lots of South London shout outs at Reading Festival last week including East Dulwich's Tom Misch, Croydon's Loyle Carner and in the Lewisham corner Ray BLK. Nigerian-born and Catford-raised, Ray BLK (real name Rita Ekwere) was the winner of the BBC's Sound of 2017 award (for emerging talent) as well as Best Newcomer at the 2016 MOBO awards. 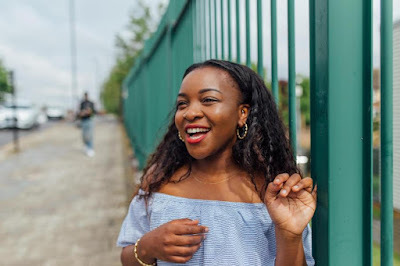 She has been making music for a while, starting out with the Great Expectations inspired Havisham in 2015, but it was last year's Durt EP that really put her in the spotlight, in particular the track My Hood which features Stormzy. She's followed it up this year with tracks including the latest single, Doing Me, and guest vocals on the Gorillaz album.